What do the deadlines actually mean in the fixed fee contracts? The reason I ask this is because I have set deadlines in milestones and contracts and they have been completely disregarded. At first I thought it was perhaps I haven't been clear enough so I changed the job required to must be reliable, explained 3 times about deadlines, and yet here I am 3 freelancers in and not one of them can keep to a deadline. Despite the fact that all of these freelancers had good feedback. My problem is that if the deadline is missed then it holds up our process. I have people waiting for work because the first freelancer hasn't done their part. Last week I actually ended up having to do the work myself. I heard from the freelancer 5 days after the deadline where she submitted her work and requested full payment. The work she submitted is no longer of use to me 5 days later after I have done the work myself. Yet she files a complaint saying she submitted the work with full accuracy. I chased her 3 times in that intervening 5 day period. This isn't the first freelancer this has happened with either. 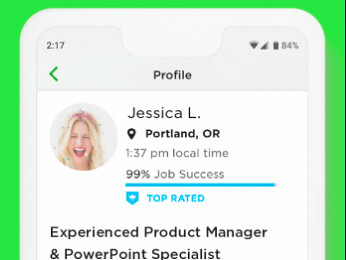 Kay, I'm not an Upwork rep, just a freelancer, but deadlines in job posts are in effect suggestions and Upwork does not impose a penalty on freelancers who miss them. So I'm afraid as a client you have to explicitly require the freelancer to complete work by a certain date, either in the job description or while interviewing a freelancer, prior to hiring a freelancer. If you did this, then you could dispute the tardy freelancer's milestone approval request. 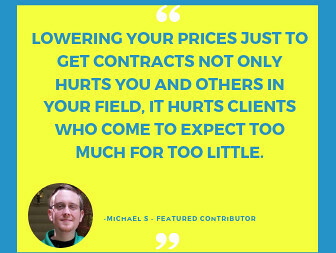 The deadline in a fixed-price contract means whatever you want it to mean. Upwork itself does not use the deadline for any purpose. It is simply a text string displayed for your convenience. If you have having trouble with freelancers meeting deadlines, and these deadlines are important to your project, then you can always try using hourly contracts instead of fixed-price. - Set up a project with a specific deadline. - Hire 4 freelancers to work on it. Tell them the deadline. - When the deadline is reached, close all the contracts. This way you only pay freelancers who do their work by the deadline. Here is another way to make sure you get work submitted before a deadline. I need a variety of avatar/user icon images created. For example: 40 images. These can be created by a variety of different artists. I would love to have variety. Hire a number of artists to work on these. They all have the same assignment. It is an hourly contract. And they are all told that once you have enough images, the project is over. Let's say I hire 6 artists. 2 of them turn in 15 images each. 2 of them turn in 5 images each. 2 of them turn in zero images. Then I close the contract. I have all the work I need on time, before the deadline. And I only paid freelancers who actually worked. a) My deadline is flexible. I'm willing to hire one freelancer, without a guarantee about when the project will be finished, in order to save money. b) My deadline is NOT flexible. I need this project done by that date. I will ONLY hire a freelancer I have worked with before and has a stellar track record of turning in work in on time OR I will hire enough redundant freelancers to guarantee that I will have the work turned in on time from at least one of them. You could do an hourly contract and tell the contractor that you will only pay for one week. If they don't get the job done in that week you can end the contract. Following up on Preston's advice, I have a question. I hired several freelancers Friday afternoon to help me with something. I made it a fixed price and put my money in escrow. I specifically told each of them the fixed due date is tonight (Sunday) at midnight Central Time. I haven't heard anything from two (2) of them. I sent them a follow up about 3 hours ago, but I am not expecting to get a reply from either of them. Therefore, how much extra time should I give them? Can I close the contracts tonight? If I close/cancel the contracts, they will have to approve, right? If they don't and they actively deny it, what can I do? I am assuming there's no protection when it comes to due dates mutually agreed to through Messages. If you close contracts with money in escrow, the freelancer is asked to approve the refund of the escrow funds. If they decline, but they haven't submitted any work, and you clearly communicated the deadline (and its now passed), then its an easy win for you. If you don't need to wait for them I'd just close it, especially if you've given them plenty of opportunity. If they don't meet your deadline, and you have another solution to get the work done, close the contract. The freelancer will have to approve a refund of the money in escrow. But if they choose not to approve it, you can go to arbitration and show that they did not submit the work before the deadline and that the deadline was clearly discussed in the job post/interview. However, if you are regularly having trouble with freelancers not meeting your deadlines, you might like to review them as they may be unreasonable. 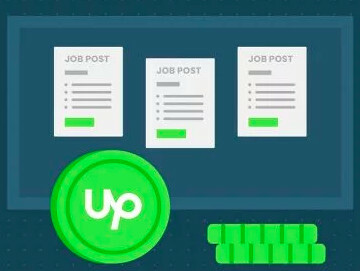 Whether or not Upwork defines for us what a "deadline" is or in any way measures whether a freelancer meets deadlines (s)he has agreed to, it's a part of the contract between freelancer and client. If both client and freelancer agree that a deadline can slip, change is not a big deal, But if a freelancer knows a deadline won't be met they have an obligation to let the client know ASAP. If you, as client, have very hard, inflexible deadlines and you tell your freelancers this before engaging them, I hope you ding them in your post-project feedback if they miss your deadlines. Reliable freelancers deserve higher feedback ratings than the slackers among us. Professionals meet deadlines or agree in advance to change them. Amateurs think deadlines are just a suggestion that nobody should really hang their hat on.